Provide comfort for the family of Phyllis Woodcock with a meaningful gesture of sympathy. Phyllis Aileen (Babs) Woodcock, age 92 passed away peacefully on Wednesday, March 27, 2019 at Lakeridge Hospital in Oshawa surrounded by her loving family. Babs was born on January 29, 1927 in Orangeville, Ontario to Charles and Madeleine (Belt) Lamon. Her family moved to Oshawa at age 12 where she attended O’Neill High School before studying nursing at University of Toronto. Babs married William (Bill) Woodcock in 1950 and together they raised a family and travelled the world. Babs is survived by her beloved husband of 69 years, Bill; sons, Doug (Charlotte), Pat (Trish) and Will (Brenda); daughter Beth (John); six grandchildren and two great-grandchildren. Babs and Bill made their home in Oshawa and later Whitby but lived in Tokyo, Detroit and Wiesbaden, Germany during their active and full life together. Babs was a loving and devoted mother and always looked forward to the family gatherings at their Chandos Lake cottage. The Woodcocks will be hosting friends and family for a memorial service and Celebration of Bab’s Life at the Armstrong Funeral Home, 124 King St. East in Oshawa at 2:00 pm on Sunday, March 31, 2019. 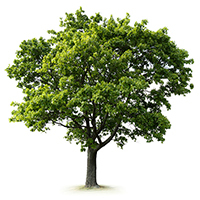 To plant a memorial tree in honor of Phyllis Aileen "Babs" Woodcock (Lamon), please visit our Heartfelt Sympathies Store. Beth and John we are very sorry for your loss. Our sincere condolences to you and your family at this sad time.